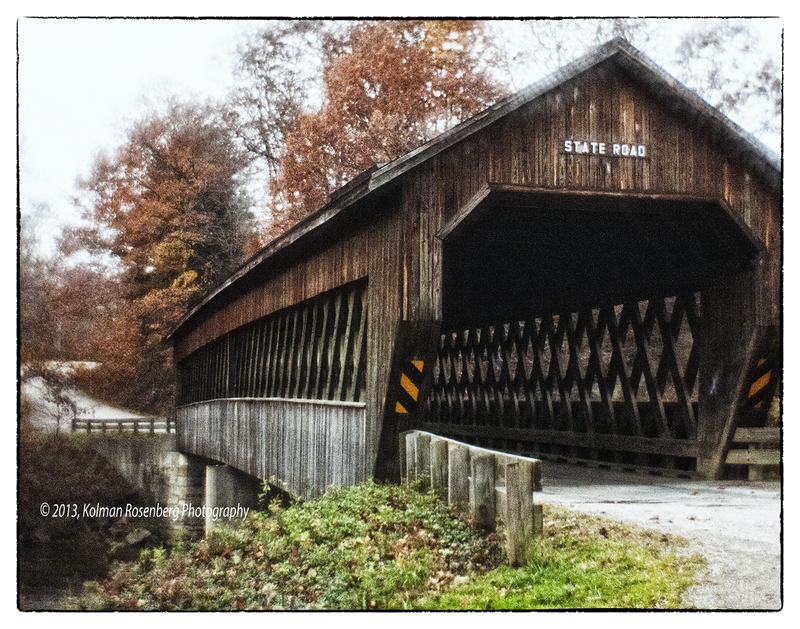 I went shooting a couple of Ashtabula County, OH covered bridges with a couple of my photography friends yesterday. There are 16 of them I believe and we’ve been visiting a few at a time over the past month or two. We’ve seen the leaves change color and even though they reached their peak last weekend, we were surprised to see some nice rust colored leaves still hanging on. All 3 of these photos were take with a lens system called the Lensbaby. It’s a system that has different effects depending on which optic you use. 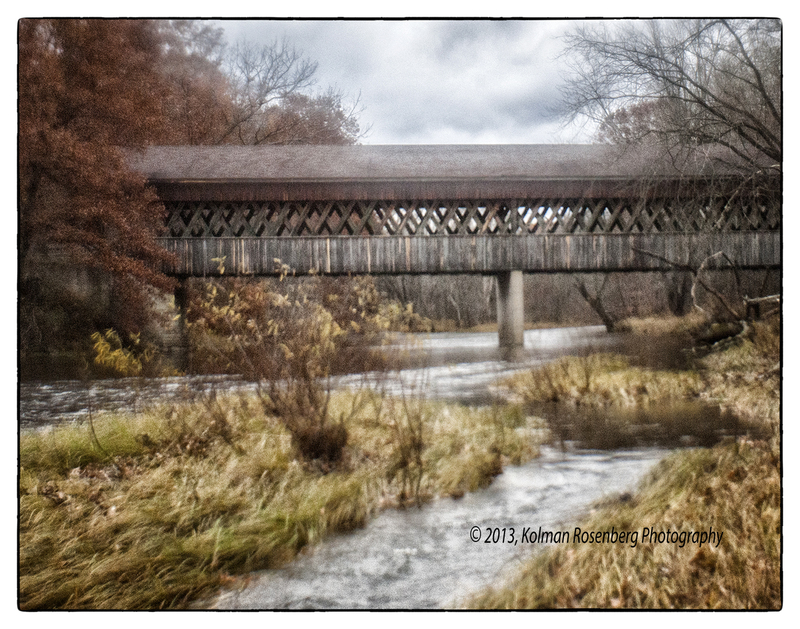 I used a soft focus optic which gives the entire photos a soft, somewhat out of focus look. Seems crazy doesn’t it? We always tried to have most of our photos “IN FOCUS” and now here we are purposely softening the focus! It does have an artsy look and many people like it! Other optics that I use with this system, have a “sweet spot” of clear focus surrounded by soft focus. You will continue to see me use this system from time to time. 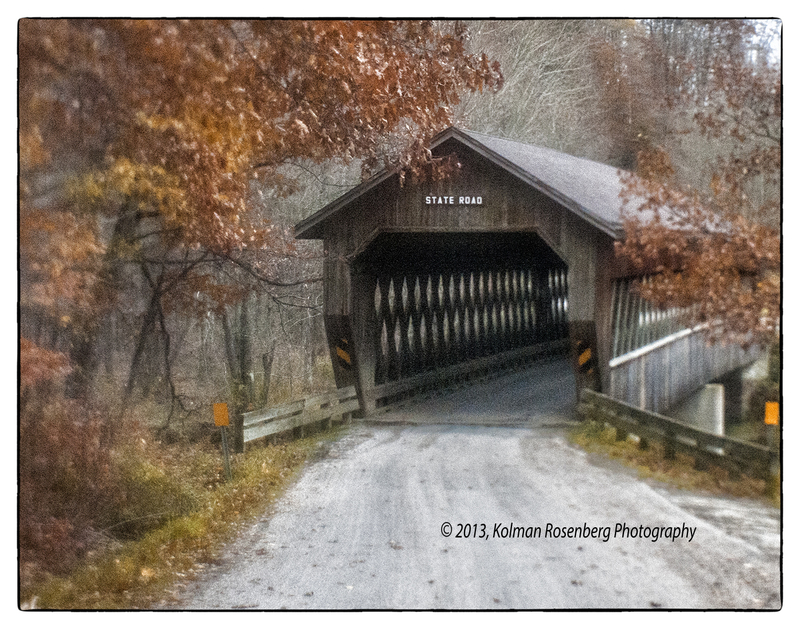 This entry was posted in Uncategorized and tagged ashtabula, county, covered bridge, Lens, lens baby, OH, ohio, optic, soft focus, state road. Bookmark the permalink. These are the first lensbaby photos that iI have admired. Thank you for sharing your excellent work, Kolman! Beautiful, serene photos, Kolman. I love them all, but my favorite is the top image.